With sales reaching EUR122 million, the Austrian recycling system manufacturer has once again achieved the highest turnover in the company's history. The growth trend can be seen quite clearly throughout the Erema Group as a whole: consolidated turnover for Erema, Pure Loop and 3S together has reached EUR132 million. Erema has followed on from its 20% increase in turnover in 2014/15 and, thanks to 5% growth with EUR122 million in the 2015/16 financial year, has achieved the highest turnover in the history of the company. Despite circumstances being economically and politically challenging due to the low oil prices, the company says it has remained committed to increasing the quality of recyclates and recorded increasing demand especially in the post-consumer sector. Plastics recycling is no longer just a flowery phrase for sustainable production, it gives companies the competitive edge. "This increase in turnover shows us that we are on the right track with our technology – recyclers are turning more and more into producers of raw material who can be successful with recyclates which are customised for the end application. Besides quality, we are fully focused on our customers. Our systems are designed with precision for the specific requirements of our customers and optimised for the respective application," explains Manfred Hackl, CEO at Erema. 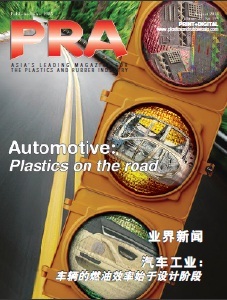 The trend of an increasing amount of recyclate in the production of plastics is being driven forward rapidly by manufacturers of branded articles. Sustainability is anchored in the corporate philosophy at Coca-Cola, IKEA and Phillips. Another lever can be found in economic/political measures such as the raising of compulsory recycling levels, with Europe leading the field worldwide in this respect. 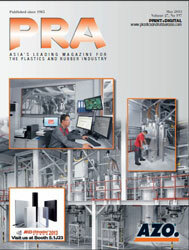 "The trend in the plastics industry is clearly towards recycling. We will show how Erema would like to continue these future-oriented developments at this year's K 2016 show. The focus this time will be on Industry 4.0 and the associated opportunities, on the one hand for producers to integrate the recycling process easily in the production process and, on the other hand, for recyclers to produce even more efficiently," says Manfred Hackl. In addition to the ongoing growth, the turnover of the Erema Group as a whole has increased and it can look back on a successful financial year with consolidated turnover increasing to EUR132 million. The group includes the sister companies 3S and, since January 2015, Pure Loop. With subsidiaries in the US, China and Russia plus around 50 local representatives in all five continents, the Erema Group has a reliable network to realise customised recycling solutions for international customers. Around 480 people around the world now work for the Austrian company group which is headquartered in Ansfelden near Linz.